Alex Spooner - THE MASSACRE AT LE PARADIS - HELL IN PARADISE - MAY, 1940. 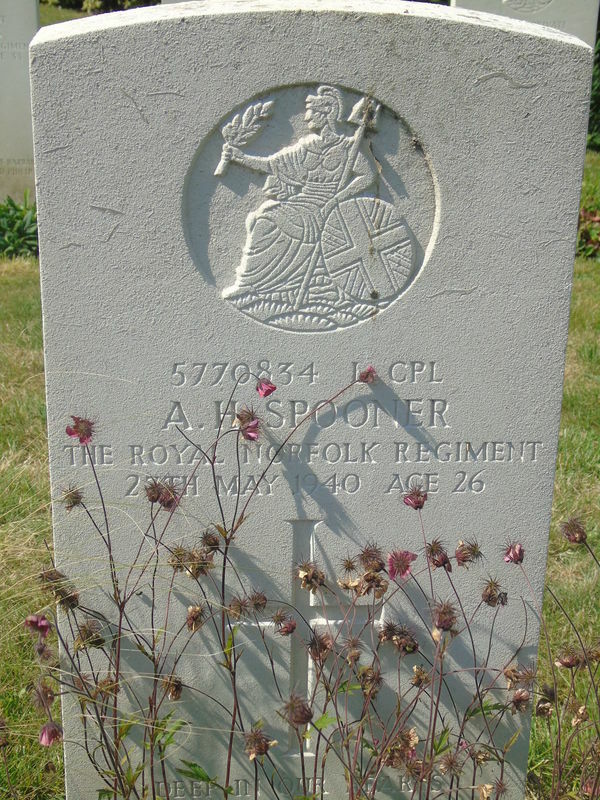 Lance Corporal Alex Henry Spooner: Died 27th May, 1940, aged 26. ​Stepson of Mr. J. Mills; nephew of Mrs. A. Mills, of Aldershot, Hampshire.